Last Saturday, Sarah and I took a short trip to Salem, Massachusetts, the coastal city that is synonymous with Halloween. In fact, besides picking up or dropping off my nephew, or attending a pair of hip-hop shows, the only other times that I remember going to Salem have been for Halloween festivities. Why Salem? We thought it was close enough that it wouldn’t take up our entire day, but far enough that we were away from Boston. The first thing we did when we got to Salem was look for food. Neither of us had eaten yet so finding a good meal somewhere was crucial. After parking at the MBTA Station, we walked around for a bit and stumbled upon a restaurant called Rockafellas. 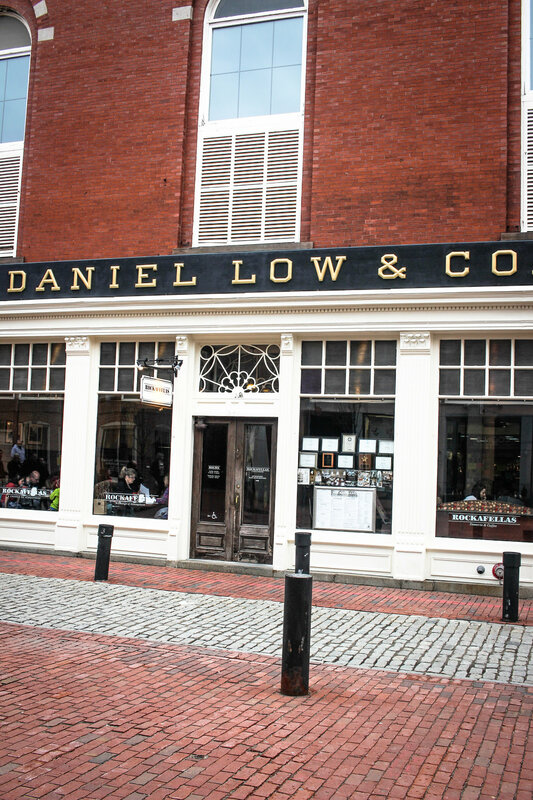 It’s housed in Daniel Low & Co, a historic building that was once home to a church, a jewelry store, a bank, and a variety of other businesses. With both of our hunger at an all-time high, we started our meal off with an order of their signature Nachos Rockafella and a couple beers. When we walked in, we passed a table that was eating nachos so we were already sold by the time we sat down. I have eaten my fair share of Nacho dishes in my life. This, by far was the biggest and the tastiest. It consisted of tortilla chips, cheddar jack cheese, jalapenos, black olives, pulled pork, and was served with pico de gallo, guacamole, and sour cream. We snacked on it before our main dishes came out. I had a Short Rib Sandwich while Sarah had the Buffalo Chicken Wrap. Due to the huge portion of nachos, neither one of us finished our meals. We definitely got our money's worth. After fueling up and enjoying the great atmosphere that Rockafellas provided, we headed back out and started our exploration of Salem. We walked around a bit, recalling some of the spots that we had been to during previous separate visits to Salem. We passed Town Hall and eventually made our way to The Burying Point. The historic burying grounds is one of the city’s most popular sites and attractions. The grounds consist of the Howard Street Cemetery, Charter Street Cemetery, and Watch Trial Memorial, which all have a connection to the Witch Trials of 1692. It's eerie yet peaceful. A trip to Salem without a visit to The Burying Point isn't complete. 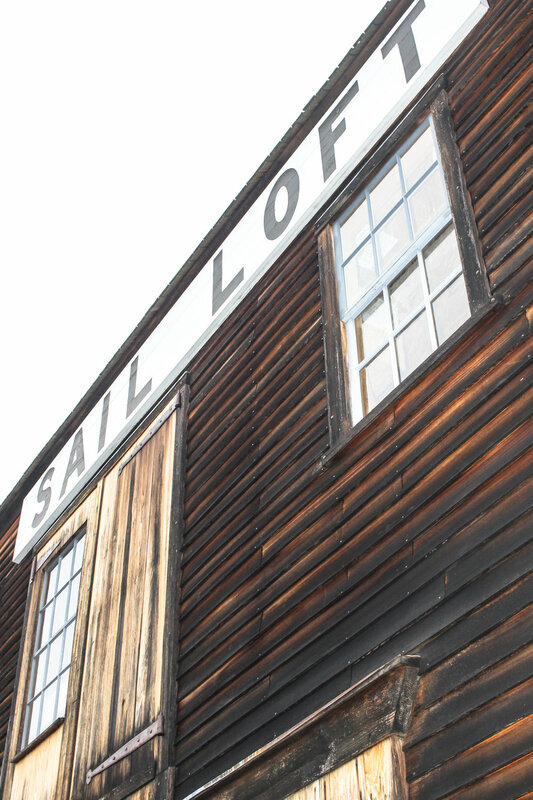 Next up, we headed over to the Salem Maritime National Historic Site. It consists of 12 historic structures, one replica tall-ship, and acres of land along the Salem Harbor waterfront. It's actually the first National Historic Site established in the United States. 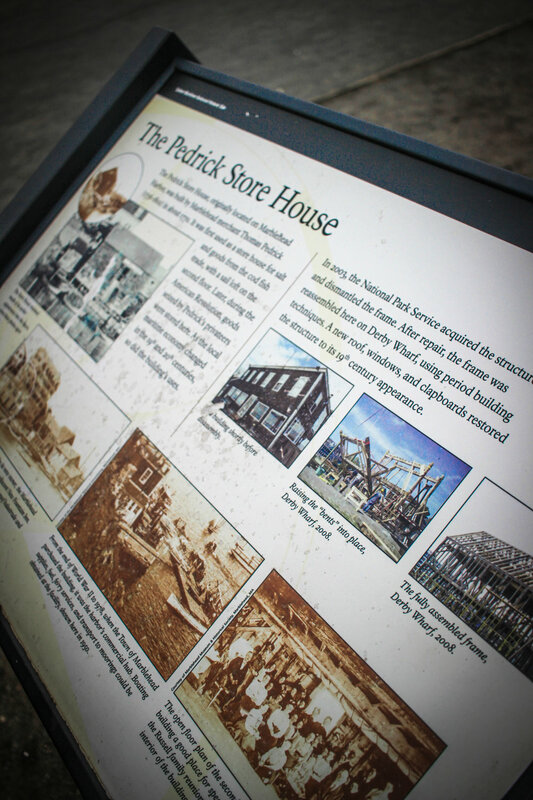 Part of the historic site is the Derby Wharf, a half-mile stretch of land that features the Pedrick Store at the beginning of it and Derby Wharf Light at the end of it. 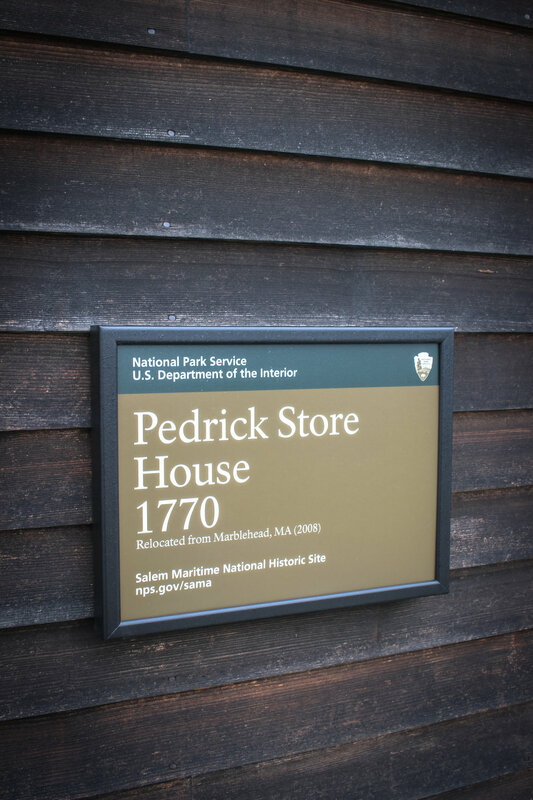 The Pedick Store House was acquired by National Park Service in 2003 from the town of Marblehead, who was planning to destroy it. The NPS acquired the structure and dismantled the frame. It made several repairs and then reassembled it on the Derby Wharf by using building techniques from the 1770s, when the original building was constructed. Unfortunately, there was construction going on so we were unable to go inside. 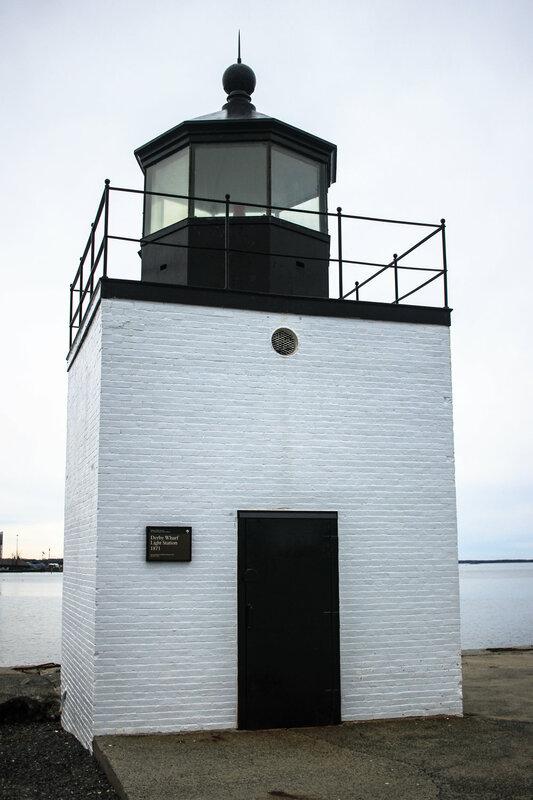 The Derby Wharf Light Station has its own history. Constructed in 1871, it's one of the smaller lighthouses in New England as it stands at around 12 feet tall. 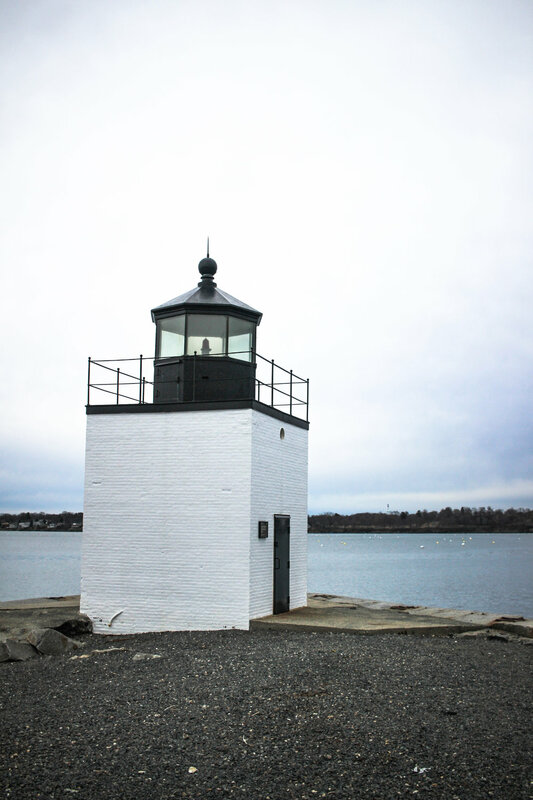 It offers great views of the Salem Harbor, including other lighthouses in the area. Also in the area is the Custom House. It's a beautiful building that housed the offices for the officers of the U.S. Custom Service in the 1800s and features a top wooden eagle on top. 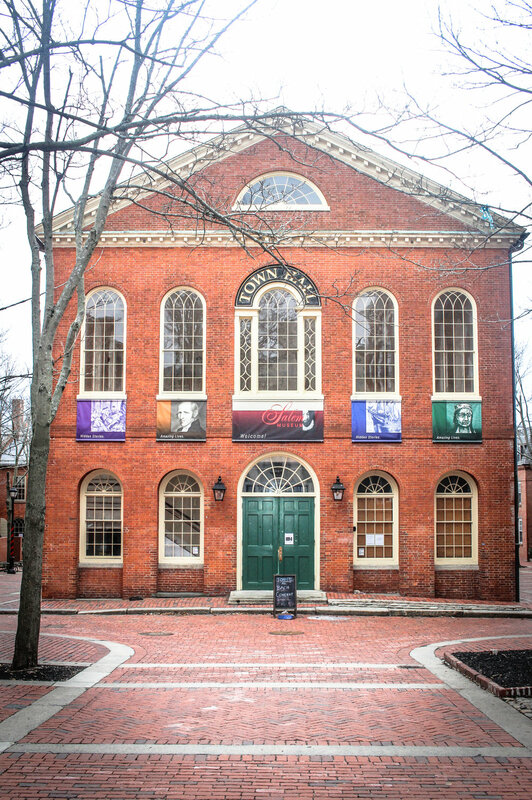 It's most known as the building that famous author, Nathaniel Hawthorne, worked in for three years and it inspired his classic novel, The Scarlet Letter. 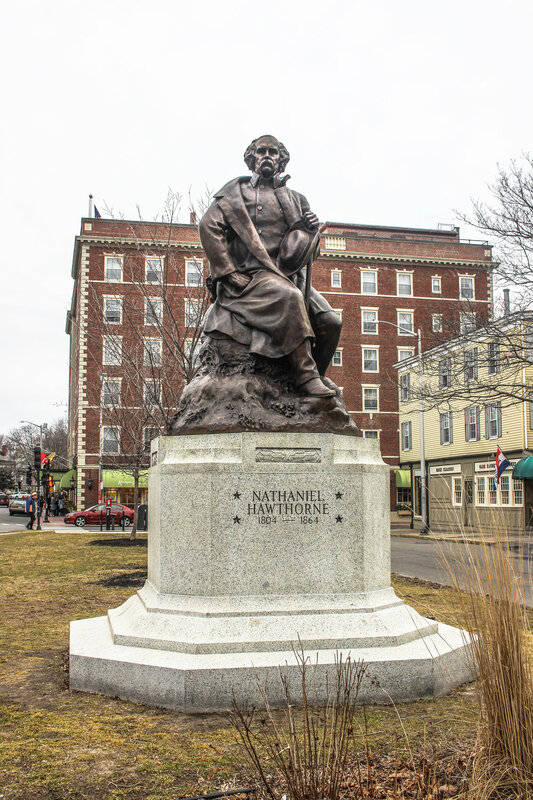 Since sunset was an hour and a half away, we walked back to the car, passing several other historic buildings and sites including a statue of Hawthorne and a Hawthorne Hotel, a hotel built in the 1920s. Winter Island Park was a short drive from downtown Salem. Due to the park closing at 5 P.M. and the sun coming down soon, we didn't get to explore the area as much as we wanted, but it still was worth the visit. We spent most of our time on the rocks near the Historic Fort Pickering Lighthouse. It was a really relaxing area and had some nice views of Salem. I can see the park getting a lot of foot traffic during the warmer months. After a half hour of hanging at Winter Island, we closed our Salem trip with a drink at Notch Brewing back over in downtown Salem. We hung outside in the Biergarten and played a few games of Palace before heading back to Boston. Overall, Salem is a good time. It offers a little bit of everything. Whether you’re looking for places to eat and drink, want to learn some history, or be entertained, Salem offers variety. There are plenty of restaurants, sites and attractions, and scenic views. While the city will always get the most attention during Halloween season, it’s enjoyable other times of the year. I hope to visit again sometime this year and check out the Peabody Essex Museum, the House of Seven Gables, and more. If you're looking for other places on the North Shore, Gloucester and Rockport are two good choices.